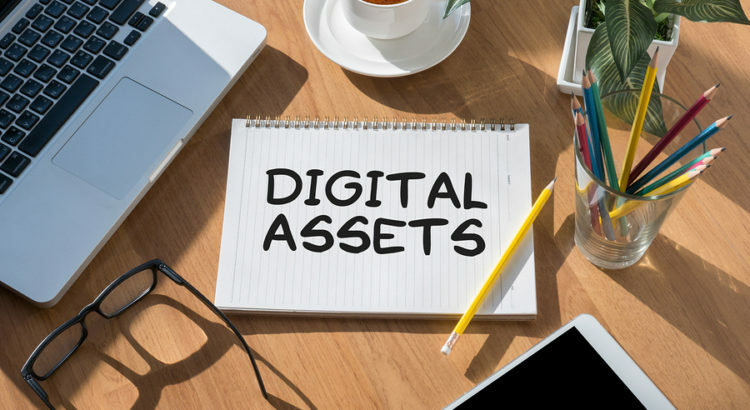 When it comes to, wills, power of attorney and all that goes into crafting your estate plan, you should include a discussion about digital assets with your attorney. Our lives today are primarily conducted online – making digital assets part of our daily lives. Yet many of us fail to recognize that the value of digital assets are as important as tangible assets. McAffee, in 2014, conducted research that disclosed digital devices hold an estimated value of $35,000. Topping the list of stored items are personal memories, photos, and videos which was estimated at over $17,000. As we store an increasing amount of assets and accounts online, their emotional and financial value increases. If you have not included digital asset information along with your estate planning documents, your beneficiaries may not be able to access your accounts, particularly if they do not have passwords and related information. Additionally, problems arise with social media accounts that are covered by TOS (terms of service) agreements which prohibit an accountholder from disclosing information to third parties, or allowing them to access your account, and from transferring the account. Laws governing digital accounts vary state-by-state and all too often beneficiaries are locked out of their loved ones’ social media and other accounts. Social media accounts: Facebook, Twitter, LinkedIn, Instagram etc., most of which have exclusive access via passwords and relevant security words. They are subject to terms of service contracts established by social media outlets – therein lies the issue when families try to access a deceased loved one’s account. Businesses: Websites, domain name/s, blogs, intellectual property, all data stored digitally etc. Financial: Bank accounts, tax documents, investment accounts, credit cards, virtual currencies, savings bonds. Personal: Electronically stored photo albums, music, movie collections, video games, websites, mobile devices, frequent flyer miles, medical records, shopping sites such as Amazon, EBay, Wayfair, food sites. Prepare an inventory of all your digital assets with a description of each along with your user name, password and related security information. Plan to update the inventory each time you make a change. Store the inventory either with your estate planning documents or in a place that it can be accessed by your fiduciary (power of attorney, personal representative (executor), etc.). Authorize your decision makers (your agent(s) named in your durable power of attorney, in the event of a lifetime illness or disability, and your personal representative (executor) named in your will to act for your estate upon your death) with the appropriate powers to access and deal with digital assets in the event of lifetime disability or death. Supplement those powers with private instructions, if applicable, as to how you more specifically wish your digital assets to be handled. For instance you may have certain personal accounts that you don’t ever want opened; be specific. Be aware. Familiarize yourself with terms of service agreements associated with your social media accounts. Some platforms have incorporated ways of handling a deceased’s account, others have not addressed this issue at all. The importance of including digital assets in your estate plan cannot be overstated as Internet usage becomes more pervasive and as online accounts become even more valuable. Be sure to discuss this topic with an estate planning attorney… soon. Estate planning documents are designed to protect clients’ wishes both during life and after death. In a durable power of attorney document, a client may pick an agent to help him manage his finances and legal affairs should he become mentally incapacitated during life. And in both will and trust documents, the client may determine how he wants his assets used or distributed after death. But in the Internet age, it can be difficult to separate certain assets such as financial accounts from the computers, websites, and software used to operate, manage, manipulate, and convey information about those accounts. 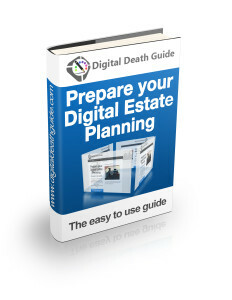 Thus without proper estate planning incorporating the client’s digital assets, it is a mistake to assume that client fiduciaries such as agents, guardians, executors, and trustees will have the tools they need to perform their obligations. In North Carolina, statutory law does not support automatic fiduciary access to digital accounts and digital assets. An NC proposal addressing estate planning and digital accounts was removed from the statute S.L. 2013-91 (N.C. Gen. Stat. 30-3.1) before the Governor signed on March 12, 2013. A few other states have passed digital assets legislation. Without clear direction from NC state law, controlling law is still mostly dictated by two 1986 Federal statutes which predate the commercial Internet. Although these Federal statutes are outdated, they still guide court decisions. The overriding purpose of both the 1986 Stored Communications Act (SCA) and the Computer Fraud and Abuse Act (CFAA) is to protect the computer user’s privacy and to prevent unauthorized access to the user’s digital assets. As a result, the computer service providers subject to the SCA and CFAA maintain service agreements that include only one user, and strictly prohibit “unauthorized access.” Some service agreements also state that the individual user’s rights are “nontransferable.” Thus, when a user becomes mentally incompetent or dies, fiduciaries may have difficulty getting access to his online accounts.  In addition, many online services will refuse to release the password information from a deceased user, even in the face of a judicial order or civil lawsuit. In the absence of a modern statute controlling fiduciary access to digital assets, best estate planning practices require both 1) clear authorization from the principal, grantor, or testator in the estate documents authorizing the fiduciary to access the digital accounts; 2) the actual transfer of account information including log-on information and passwords. Although these preparations may not work forever and may not work with every digital account, these steps may be the best that NC estate planners can do until controlling laws are modernized. 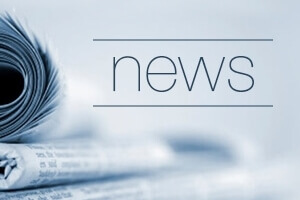 Some digital providers have revised their rules to permit fiduciaries to access online accounts when the proper authorization is included in the primary user’s estate planning documents. They also advocate including a broad definition of “Digital Assets” in the will. Proper authorization to use digital assets language should additionally be included in the durable power of attorney document, in order for the agent to be fully able to conduct an incapacitated grantor’s business and legal affairs. 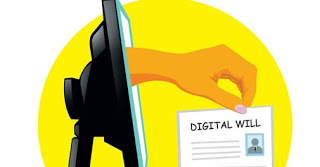 In addition to the digital assets authorization language needed in the estate documents, the grantor must also physically transfer to the proper fiduciaries the administrative information required for using the digital assets. This includes account information, log-on information, and passwords. Digital Hardware. 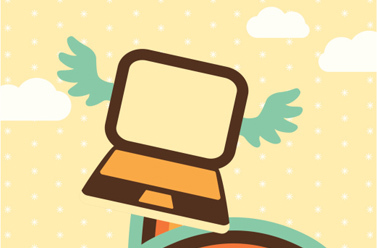 List all digital hardware, including desktops, laptops, smartphones, iPads, USB flash drives, and external hard drives. Financial Software. List all financial-related software programs used, such as Quicken, QuickBooks, and Turbo Tax, which may include important tax and business information, as well as passwords. File Organization/Passwords. Provide an outline of the file organization on digital devices so fiduciaries will know where to find important files, as well as any passwords they may need to gain file access. Social Media. List all social media accounts, such as Facebook, LinkedIn, Twitter, and Cloud websites, as well as the information needed to access each one. Online Accounts. Prepare a list of all online accounts including bank accounts, investment accounts, retirement accounts, e-commerce accounts (Amazon, PayPal), credit card accounts, and insurance accounts. It is critical for fiduciaries to have access to these providers. Subscriptions. Ensure that a list of online subscriptions such as Netflix, Norton Anti-Virus, credit reporting/protection subscriptions, and streaming music subscription services are documented so fiduciaries can access or cancel those services. Email. List all personal and business-related email accounts, and how to access them. It is easy for estate planners to focus on protecting monetary assets. But the control of a client’s “digital legacy” on social media may also be important. To deal with the desire for users to allow their loved ones to memorialize them through their Facebook accounts at death, Facebook recently decided to allow members to designate a “legacy contact” to manage parts of their accounts posthumously. Members may now also choose to have their presence deleted entirely at death. Likely the most complete proposal addressing the need of clients to effectively give fiduciaries access to their digital estate has been written under the auspices of the Uniform Law Commission. The Uniform Law Commission approved the recent Uniform Fiduciary Access to Digital Assets Act (UFADAA) on July 16, 2014 in Seattle, WA. The UFADAA gives people the power to plan for the management and disposition of their digital assets in the same way they can make plans for their tangible property: by providing instructions in a will, trust, or power of attorney. If a person fails to plan, the same court-appointed fiduciary that manages the person’s tangible assets can manage the person’s digital assets, distributing those assets to heirs or disposing of them as appropriate. Until such reforms become law, the best strategy for passing down digital assets to fiduciaries requires both including proper fiduciary authorization language in the estate documents, and the physical transfer of digital asset user information to fiduciaries. Your Digital Legacy – What Happens To Your On-Line Stuff When You’re Gone? People plan, or should plan, for all types of contingencies after their demise; a living will, family trust, a last will and testament, even a durable power of attorney to express your wishes about your demise if you’re alive but not able to do so yourself. But what about your digital life? Who has the authority to deal with these properties (intellectual or otherwise) after you’re gone? Most responsible people have left professionally drafted and approved instructions about what they want done with their money, worldly possessions, other valued assets, and even their remains. But it’s unlikely that the average person has left instructions about how they want their on-line identities and their contents handled. Hence, your digital legacy, a.k.a. “what becomes of your on-line sites and materials?”, is becoming a major topic of discussion among estate planners and lawyers who have been charged with handling these affairs in your absence. Since all social media sites require passwords to access them, and we’ve been admonished to death (forgive the pun) about how to protect them, no one can access your accounts to shut them down or even to advise your friends and followers that you will no longer be posting, at least not from this plane. And, because we’re taught to change our on-line passwords frequently, giving your estate’s executor a list of passwords is a cumbersome task; it would seldom be up-to-date. But fret not; this need has created a business opportunity, a hole that’s been filled by companies that specialize in handling your digital legacy after you no longer have a need to post to your Facebook page, or any other site. Many of these sites offer services that include granting access to your representative, posthumous email services, and on-line memorials where friends and family can share loving thoughts and photographs about you. According to their web site: Legacy Locker is a “secure repository for your vital digital property that lets you grant access to online assets for friends and loved ones in the event of loss, death, or disability.” That’s the gist of what these web services are about. The Digital Beyond is an on-line service where you can find a complete list of companies that offer a variety services; digital estate planning, posthumous emails, and on-line memorial. Helpfully, this site includes a chart that compares these companies to each other in terms of the services that they offer. For example, you might not want an email service posting in your absence, so why pay for it? Some sites listed here are only on-line memorial sites and wouldn’t function as an effective digital legacy service. Companies named “After Steps,” “Asset Lock,” “Chronicle of Life,” “Eternity Message,” “Great Goodbye,” “My Wonderful Life,” “Parting Wishes,” even “Dead Man’s Switch,” give you a sampling of what these sites are about. It would behoove you to browse around and compare the services, just as you would when looking for an estate attorney to handle your other affairs, then sign on with the one that suits your needs best. Doing so before your family or attorney has to do it will take the pressure off your loved ones to figure it out while they’re adjusting to their loss. Once you’ve hired a service, here’s hoping you won’t need to use it for a long, long time. Obviously, Google is listening to the media, and perhaps my own tech blog, as they just addressed the issue of what to do with the information you’ve posted on-line through Google’s own services. It’s called “Inactive Account Manager,” which they acknowledge in their statement is an inelegant name, but it’s intent is what’s important, and it seems that they got that mostly right. With this service turned on, you’re able to predetermine what to do with the information that Google has in your account should something untoward happen to you in an untimely manner. In other words, if you don’t use your Google account within a set number of months (you decided how many), it will automatically delete your account and its content. It also gives you the ability to notify people that you’ve specified to know that this is happening to your Google information. The immediate flaw that I can see is that it asks for a way to contact you if your account has been inactive for a month. If I’m in some heavenly (hopefully) afterlife, trust me, my email alerts will be turned off. Information contained herein is for guideline purposes only, is not intended as an endorsement of any product, and is no guarantee of the results.